" Your Main Door Says Something "
Give a clayful welcome to your friends.Feel the soil. With traditional glimpse to your home.Give your home that traditional decor right from the door. Background :- Plaster of paris. 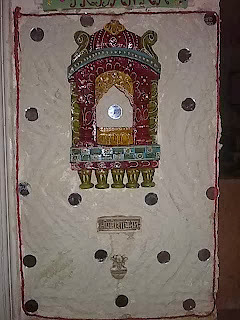 Embossed :-Round mirrors Wooden Jharokha, Small tiles with hindu mythology mantra. 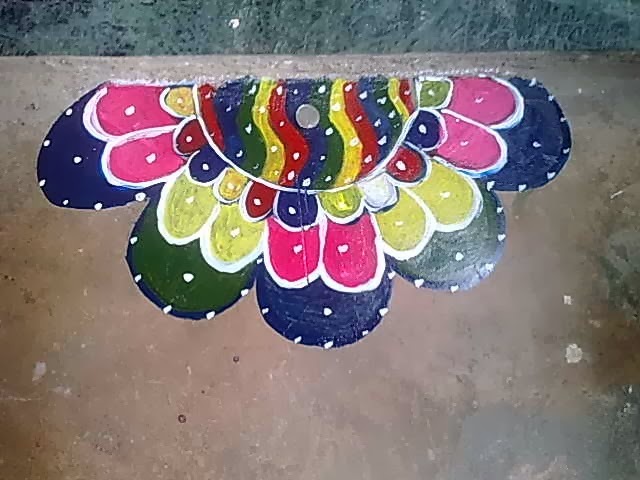 Popularly known as Rangoli, Alpana. 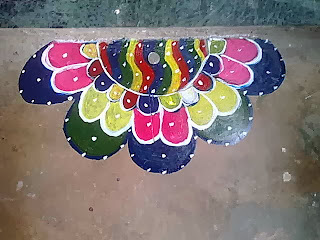 There are different forms of Rangoli right from South Indian style to Gujarati colorful style. 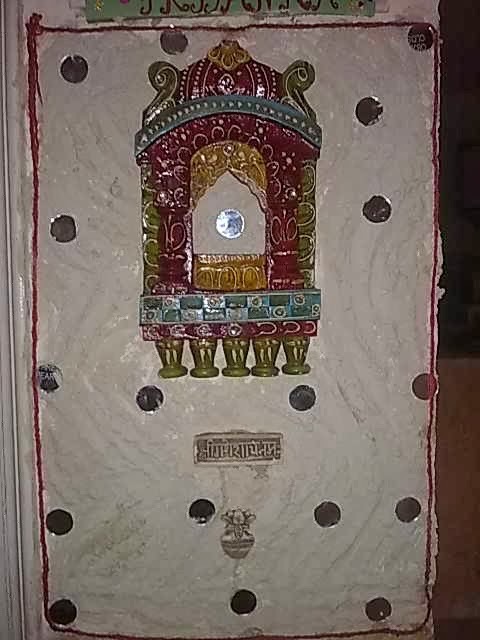 This is the one i made on Diwali last year. There are various forms & designs you can try your hands on. I was left with short time before Pooja so went for simple one. 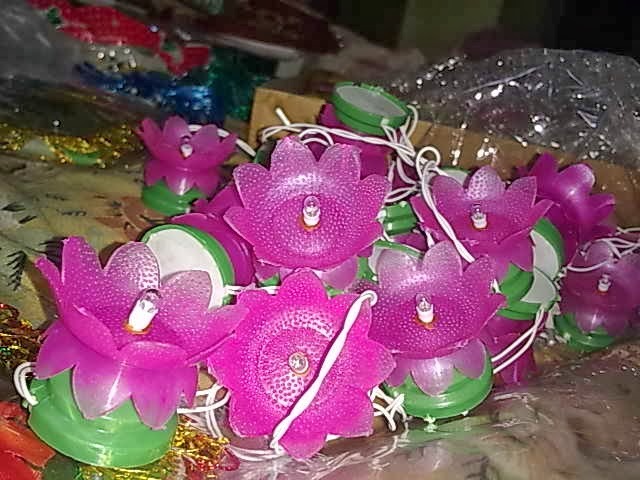 Bright up your spirits with these lotus lights !!! Diwali is a festival of lights and Diyas. Its all lights lights everywhere,every corner, that lights up your heart. When we go out to buy lights, we look for new designs different from the one we bought last year or different from others. These Lotus lights attracted me this Diwali.